Allow 5-7 business days for proof approval process & creation. Plus ship time. Yes Script please! Yes Block please! Attach file. 1 MB max upload. (Larger files please email to service@memorialgallerypets.com include order number). 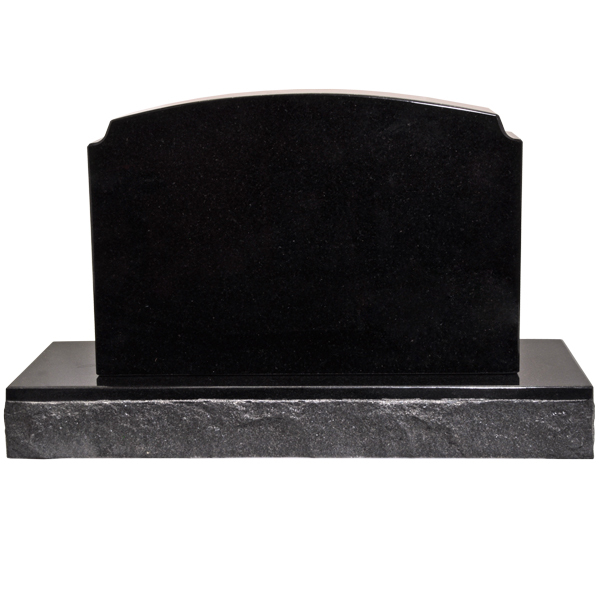 The traditional black granite marker comes in two pieces- the traditional marker and the base. The traditional marker rests upon the base. 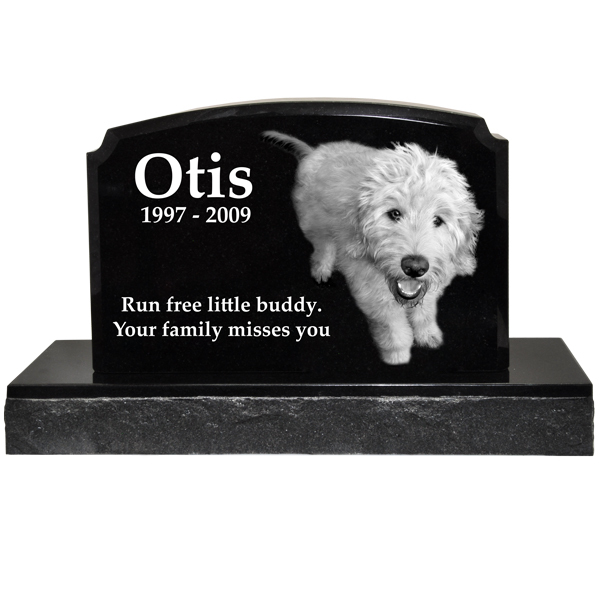 Our Pet Burial Markers allow you to take a favorite photo of your faithful friend and turn it into an exquisite burial marker. Because each memorial marker is custom made of true granite, there may be slight variations in the color and pattern of the stone. 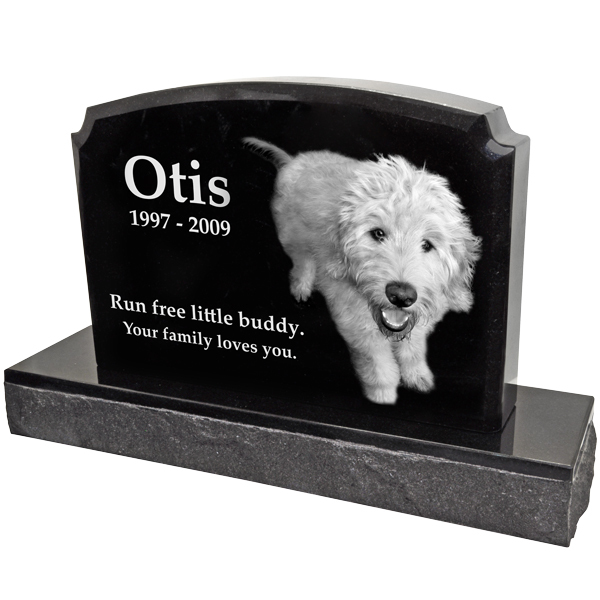 The Pet Burial Marker can also be engraved with name and dates or a special message to your pet. After placing your order please send your pet's photo to service@memorialgallery.com. We will create and send you a proof of your pet's memorial before the final piece is made. There is an additional fee for processing more than one photo. After first photo there is a $25.00 charge each additional photo processed. Engraving layout may not be exactly like sample because each engraving is different with amount of text or angle of photo. Our skilled engraver will create a layout design for maximum impact based on the amount of text and photo.